The new 11-inch and 12.9-inch iPad Pro introduced Tuesday have plenty of CPU and GPU power to make them comparable in terms of processing speed to Apple’s nearly $3,000 15-inch 2018 MacBook Pro notebook outfitted with Intel’s six-core Core i7 chip. Geekbench scores for the new iPad Pros that appeared this morning show the respective single-core and multi-core CPU scores of 5,030 and 17,995, or about 93 percent and 86 percent of the laptop, respectively. 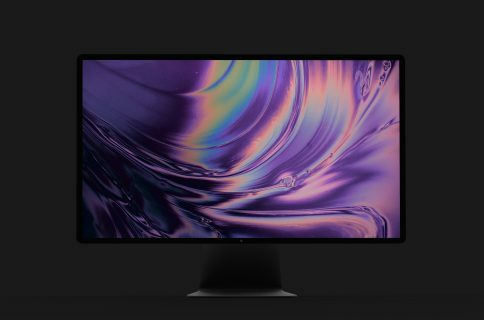 By comparison, the 15-inch MacBook Pro model from 2018 recorded a single-core score of 5,419 and a multi-core performance of 21,251. Compared against 2017’s 10.5-inch iPad Pro model, these numbers are about 96 percent higher. The test was run on a 1TB version of the new iPad Pro which comes with 6GB RAM instead of the 4GB in other models, but more RAM shouldn’t affect the results in any way. The figures put the new Apple tablets within spitting distance of 2018’s 15-inch MacBook Pro configuration powered by Intel’s 2.6GHz six-core i7 processor, which certainly isn’t a slouch. 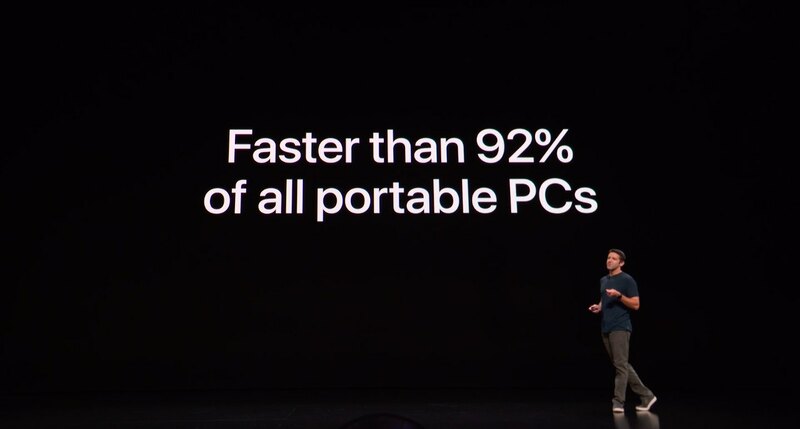 In other words, Apple wasn’t lying or stretching the truth when it said during the unveiling that the new iPad Pro models were faster than the vast majority of all laptops sold in the last year. The above MacBook Pro configuration is priced at $2,799 with 512GB of flash storage. The new 12.9-inch iPad Pro with 512GB of storage is $1,349 while its 11-inch counterpart with the same amount of flash storage is only $1,149—or less than half that of the MacBook Pro model. Small wonder Apple is thought to start using iPad chips in Macs as early as 2020. According to Apple itself, the A12X Bionic chip outperforms many PC laptops. “This is a huge step forward,” said John Turns, Vice President of Hardware Engineering, during the company’s October 2018 press conference. “Here’s another way to think about that. 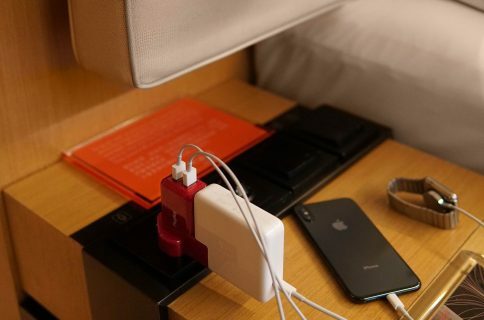 These iPads are 92 percent faster than all the potable PCs sold in the last twelve months, including the most popular Core i7 models from the top manufacturers”. There’s no doubt the new iPad Pro is a speed demon. Apple has demonstrated just how far we’ve come in terms of tablet computing by inviting developers such as Adobe and Autodesk to show off the upcoming full-on creative apps like Photoshop and Autodesk. 2018 iPad Pros are powered by the Apple A12X Bionic silicon. 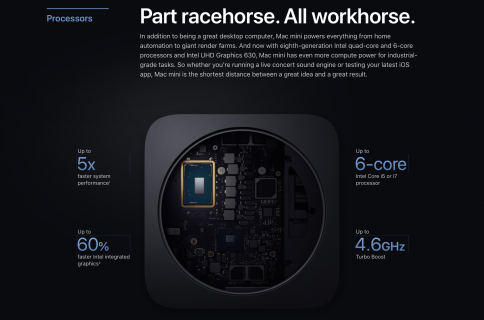 It’s an improved version of the A12 Bionic chip in 2018 iPhones that the firm claims has 35 percent faster single-core CPU performance and 90 percent faster multi-threaded performance than the A10X chip that debuted in the previous iPad Pro generation two years ago. It’s the first commercially available mobile chip built using a 7-nanometer process technology. The latest A12X Bionic system-on-a-chip integrates four high-performance cores, called “Vortex”, and four energy-efficient cores, called “Tempest.” It files as Apple’s very first system-on-a-chip with an eight-core CPU. In terms of graphics, the integrated Apple-designed GPU sports seven cores with twice the graphics performance of the A10X Fusion chip. Aside from the increased core count and slightly higher clock frequency, A12X Bionic also brings hardware-accelerated machine learning to iPad for the first time with Apple’s next-generation Neural Engine hardware that can perform up to 5 trillion operations per second and is ten times faster than the Neural engine in the A11 Bionic chip that powers 2017’s iPhone X. Thoughts on the new iPad Pro Geekbench scores? Is it high time Apple built an ARM-based Mac notebook using these chips? Sound off in the comments down below!